Prefectural Ogata Mizu and Mori Park are set on the "lagoon" developed in the sand dunes behind the Japan Sea Coast.Two ponds in the park ... Unoike, Asahi Pond is a pond (lagoon) made by damming a river, a dunes made by the influence of winter's seasonal wind etc.These "lagoons" are recognized as spreading from the ocean through the sand dunes to the paddy field of the back trunk, showed various nature's appearance, and are valuable as a growing place for various animals and plants.Also, "lago" has long been an indispensable existence for people's life.Prefectural Ogata Mizu and Mori Park are maintained as a place to learn nature while leaving precious nature of "lagoon".It is also being developed as a place to learn the history and culture developed in this "lagoon".Currently, a part of the "History Zone" (5.55 ha) and the "Wild Bird Observation Zone" (9.9 ha of the 11.2 ha is the wild bird conservation area) is opened to enjoy bird watching, forest bathing, walks and so on.From now on, we will promote maintenance such as "Nature Observation Park Zone", "Kata-no-Sato Zone", "Holiday Plaza Zone", "Nature Experience School Zone". Although there are still many zones that are under construction and not open to the public, I would like to introduce the "History Zone" and "Bird Observation Zone" which is currently open. 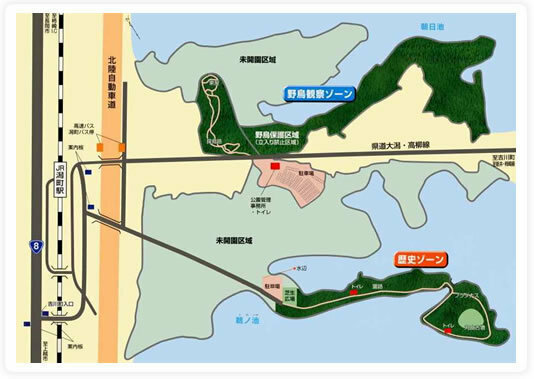 At completion, it seems that there will be a wild bird observation zone, a history zone, a Kata-no-Sato Zone, a resting plaza zone, an adventure zone, a nature observation park zone, and a very large park. Chiba Road uses chip thinning using thinned wood, and you can watch birds without setting footsteps. Also, there are huts that can take a rest, and how about having a rest while listening to the birds' birds? You can also watch a forest bath. 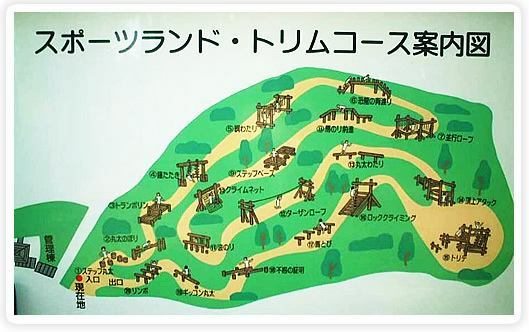 Aka "Maruyama park" is also called history zone.In this area, old relics such as stoneware have been found. 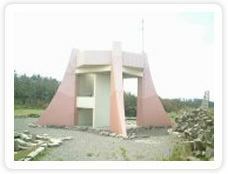 There is a Maruyama Tomb that is said to be the place where there was an old tomb in the depths of the history zone. 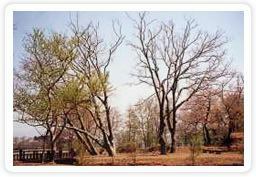 You can also enjoy the change of the four seasons of the Unoike. It has become a large lawn open space and you can relax and unwind. It is at the entrance of the Maruyama Tomb and it is a very big plain. 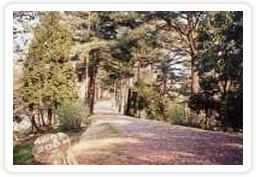 Maruyama Tomb is a picture of a long way from Maruyama Tomb.This road going through the pine grove.A lot of natural plants live around this road.Why do not you observe? 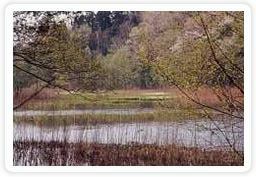 There are plenty of nature remaining around the pond in Ogata Town (Unoike etc. 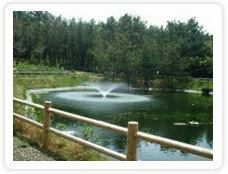 ), so you can see lots of natural creatures. Thirteen thousand birds pass through Hokkaido from the Kamchatka Peninsula, to the Tohoku Region on the Pacific Ocean side, and winter birds come to the south to Shiga prefecture Biwako Lake on the Sea of ​​Japan side. 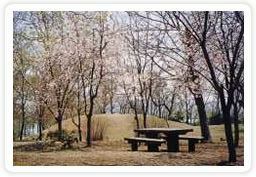 It is designated as a natural monument of the country. It lives in the environment where wetlands Yoshi and Siroese inhabit.The body length is within 1.2 MM and it is black color, the back is green to shine or red to shine red. Those on the side of the Sea of ​​Japan have a purple belt. It is an insect that is designated as an emergency species. It is a medium-sized dragonfly that has a slightly thicker, slightly weak feel, mainly inhabiting ponds, swamps, wetlands, paddy fields, etc. where lowland aquatic plants grow. As it matures it will wipe the white powder on the abdomen, so this name is attached. 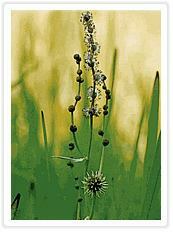 It is designated as an endangered species.In the park, it is distributed in several places of wetlands. It is a perennial herb that grows in shallow waters such as ponds and swamps that bloom in the early summer and gutters. 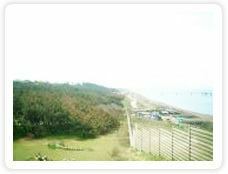 "Ogata Town Shiosai Yuhi-no-Mori Park" has a hiking / jogging course walking in the pine forest, a seaside athletic that moves the body, a campsite, an observation deck overlooking the Sea of ​​Japan. Pine grove in Ogata Town has long been growing pines as windbreak forest in Ogata Town which was a sand dune area.Even now it is useful as a windbreak forest. 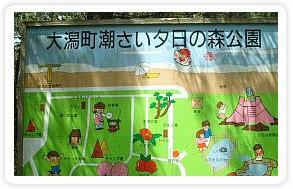 This "Shiosai Yuhi-no-Mori Park" is in the pine forest. 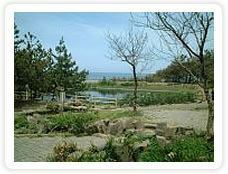 Why do not you extend yourself to Shiosai Yuhi-no-Mori Park. 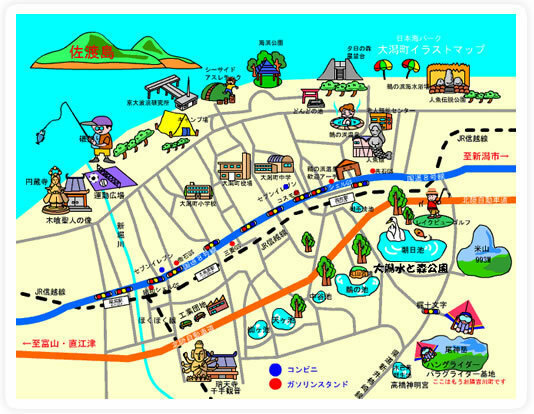 You can overlook the Sea of ​​Japan and you can look at Sadogashima on sunny days. "Hamanasu-no-Ike (Pond)" in the Kaihin Koen the number is small in the summer, you can see the fireflies rarely on the beach. I often see this picture, I think you will see that Matsu-no-Ki stand standing in the same direction. This is a Matsu-no-Ki bent by a strong wind blowing from the Sea of ​​Japan. Looking at the pine in this picture, you can tell at a glance which way the ocean is. 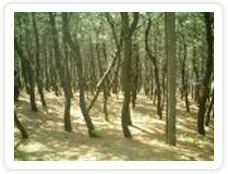 It was a very cool place.The pine grove here is pleasant. There are a lot of attractions that can be played by moving such bodies in athletics.Please, go and visit.